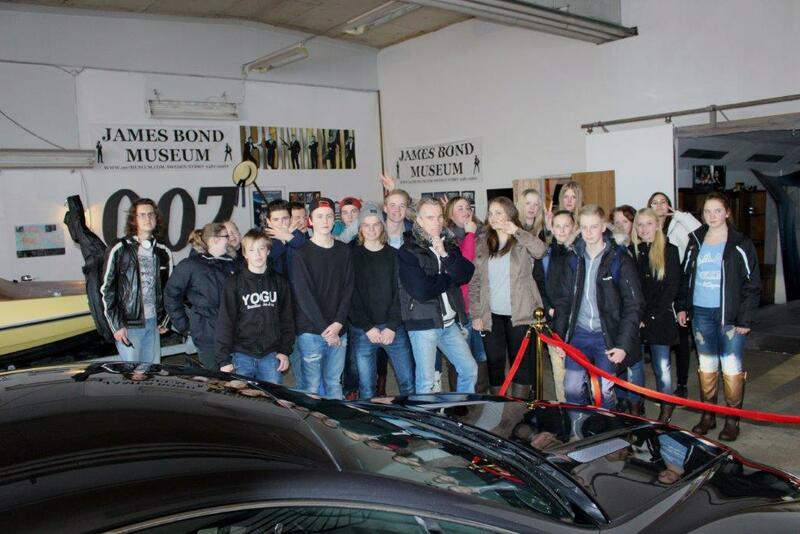 School education at James Bond 007 Museum Nybro Sweden. Gunnar Schäfer was two years his father disappeared 1959. The many issues that brought the incident has received no response and the deep sense of loss is still where about. 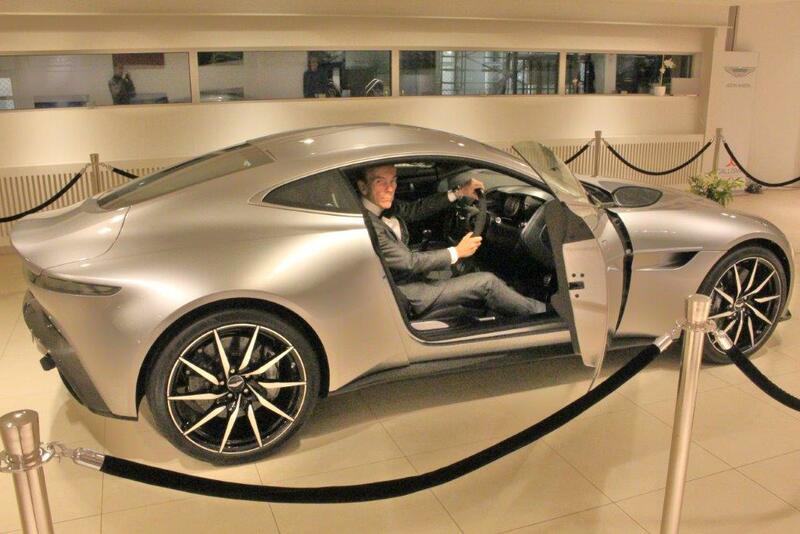 But one ting that in many ways come to fill the void is - James Bond. Gunnar has even added action-hero's name to his own. 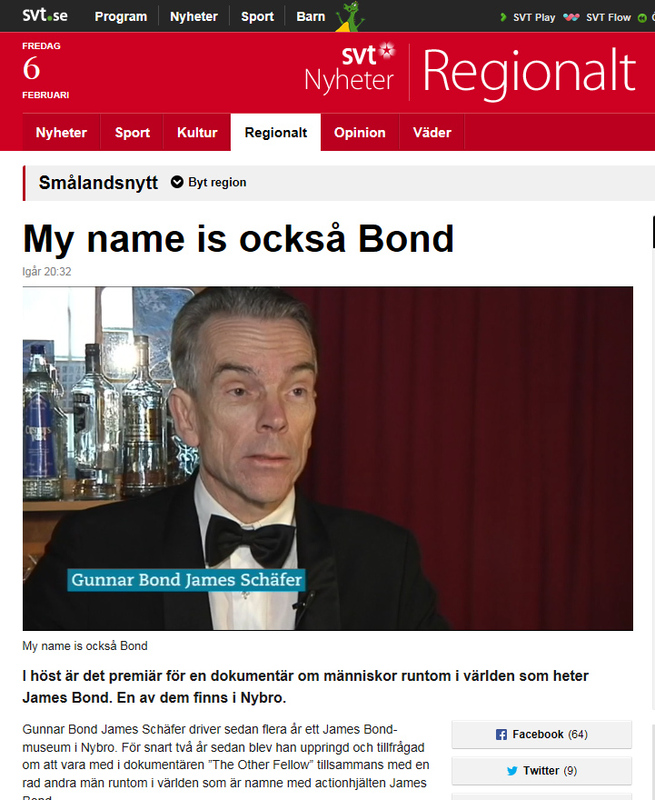 It is easy to understand Gunnar Schäfer believe that the addition of the names of James Bond and most are for fun. Perhaps a test to see how far it can stretch the Swedish name law. a differente way to advertise the museum . 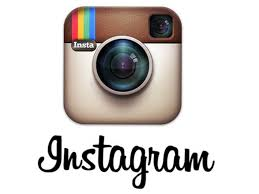 But the history behind Gunnar Schäfer name extensions are a deeper and more complex story. Gunnar finds that he "did not grow up on bright side of life". Two events in childhood have been differently affected him much. The first occurred when Gunnar was only two year. His father was German and fought for his country during World War II. After the war he came to Sweden and met Gunnar's mom. They married and had four children. One day the father said that he would go on vacation to Germany to try to locate his parents, who he lost contact with during the war. After a week it tumbled down a card that her father sent from Denmark, but after the family never heard of him. He had vanished without trace. - Although I do not remember so much of the event itself, it was obviously a big disaster for my entire family. Mom could not take care of us children while alone account for supplies, so we had to go to the welfare office for help. - Psychological dad also left a great vacuum with a lot of unanswered questions behind him: Did he have another family left in Germany? Was he miserable and damaged by their war experiences? Did he not cared about me and my siblings? These questions, I have lived with throughout my life, "says Gunnar Schäfer. – i Småland! Ägaren har till ochmed tagit namnet efter sin hjälte. 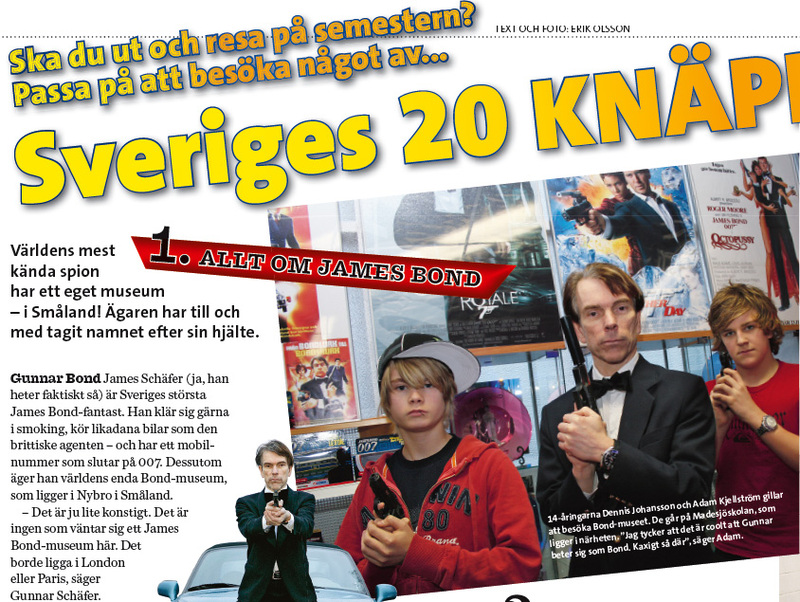 Gunnar Bond James Schäfer ( ja, han heter faktiskt så) är Sveriges största James Bond-fantast. Han klär sig gärnai smoking, kör likadana bilar som den brittiske agenten – och har ett mobilnummer som slutar på 007. Dessutom äger han världens enda Bond-museum, som ligger i Nybro i Småland.– Det är ju lite konstigt. Det är ingen som väntar sig ett James Bond-museum här. Det borde ligga i London eller Paris, säger Gunnar Schäfer. 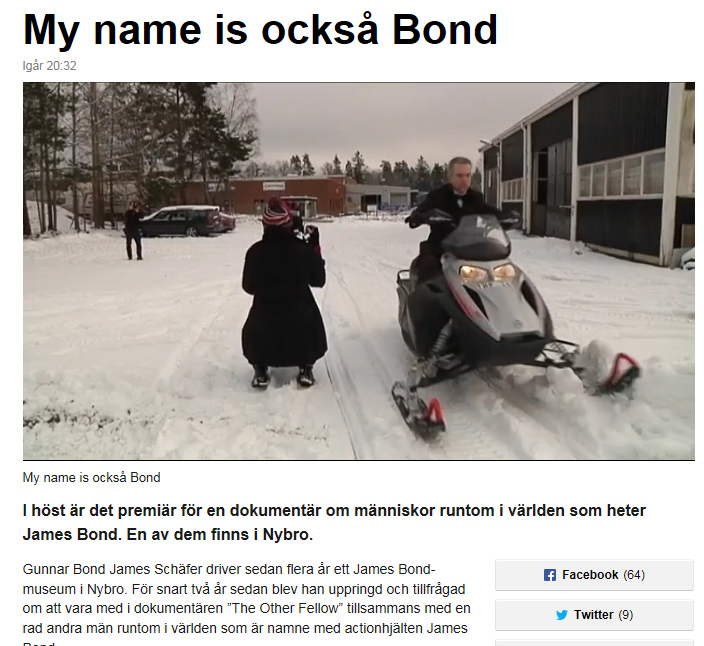 Hans intresse för agent 007 började när han var 8 år och såg sin första Bondfilm Goldfinger på bio. filmen "Die Another Day", berättar Gunnar. 1. 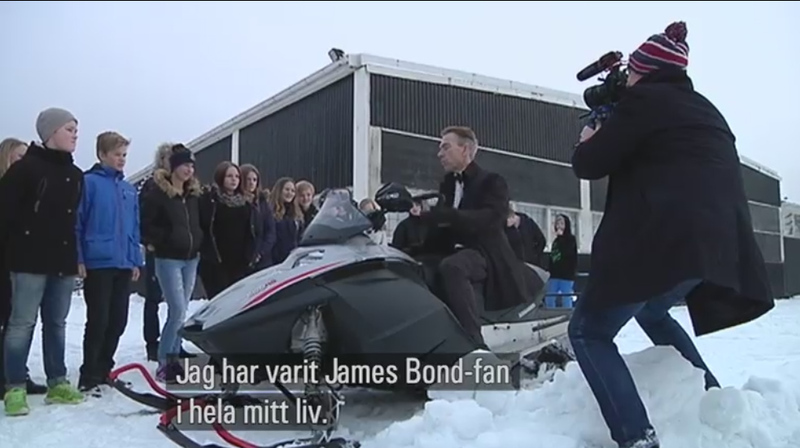 ALLT OM JAMES BOND Ska du ut och resa på semestern? 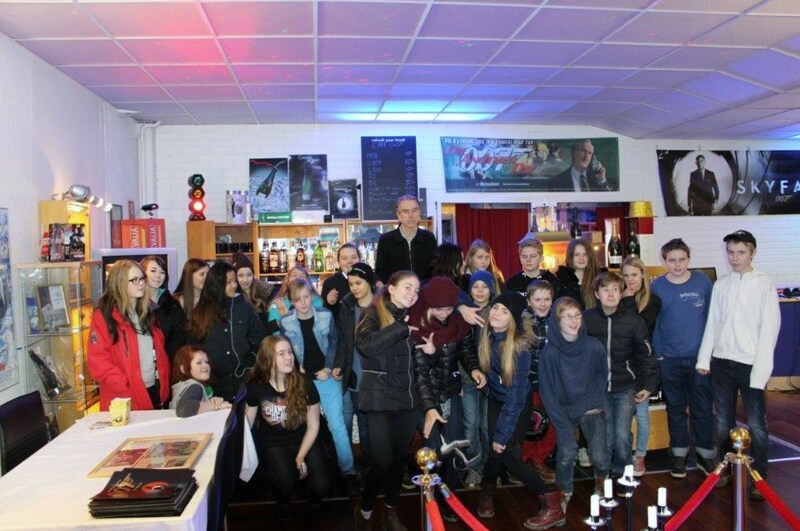 att besöka Bond-museet. De går på Madesjöskolan, som ligger i närheten. ”Jag tycker att det är coolt att Gunnar beter sig som Bond. Kaxigt så där”, säger Adam.